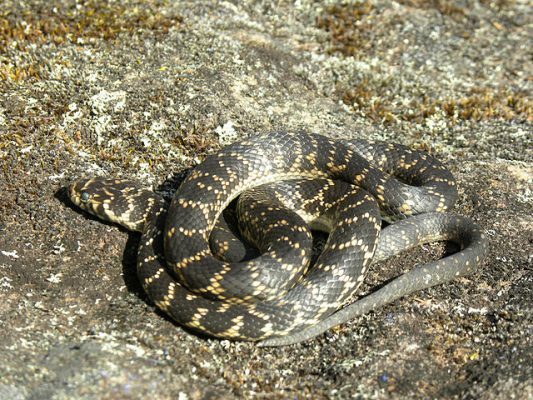 Australia is home to a large number of dangerous species of snakes and some of these snake species are responsible for most deaths caused by snakebite in Australia mainland. 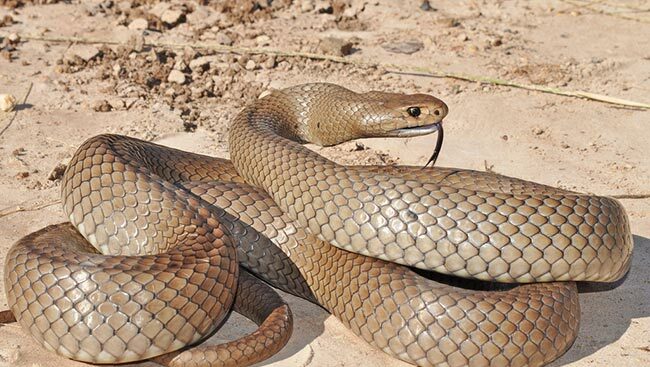 Here is the list of top 10 highly dangerous, poisonous and venomous Australian snakes, poisonous animals in Australia also includes Small-eyed snake, Brown Snake, Tree Python, Diamond Python, Carpet Python, White-lipped Snake and Sea snake. Inland Taipan is an n extremely venomous snake of the taipan species and the most toxic and highly venomous land snake in the world. The taipans has two species Inland Taipan and Coastal Taipan. Eastern Brown Snakes are highly venomous elapid snake and world’s second most venomous land snake,native to Australia. 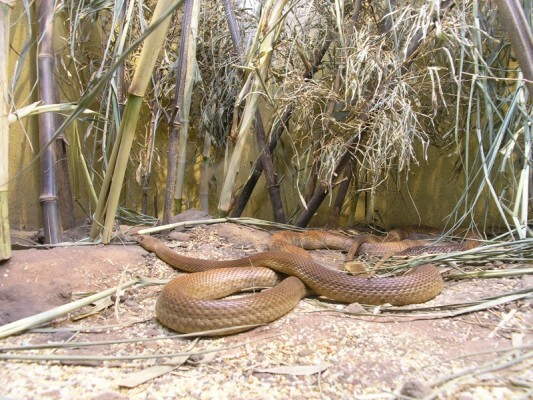 The eastern brown snakes are variable in colour and live in wide range of habitats along with East coast of Australia. Coastal Taipan is fast moving and highly venomous species of Elapidae family snake, endemic to Australia. The common taipan is the one of the most venomous land snake in the world. Western Brown Snake is cousin of Eastern Brown Snake, found across most of the Australian continent. The western brown are very aggressive and highly venomous elapid snake native to Australia. Mainland Tiger Snakes are highly variable colorful venomous snake found in coastal environments of Australia. 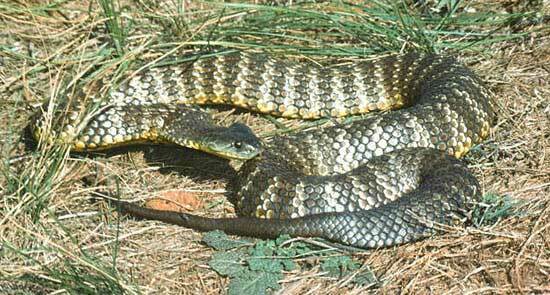 Tiger snakes are protected species and females give birth to live young. Broad Headed Snake is a medium sized species of venomous snake,restricted to eastern Australia. The Broad-headed Snake is currently listed as an endangered species of snake. Common Death Adders are found in Northern Territory and listed as Australia’s one of the most venomous land snake. 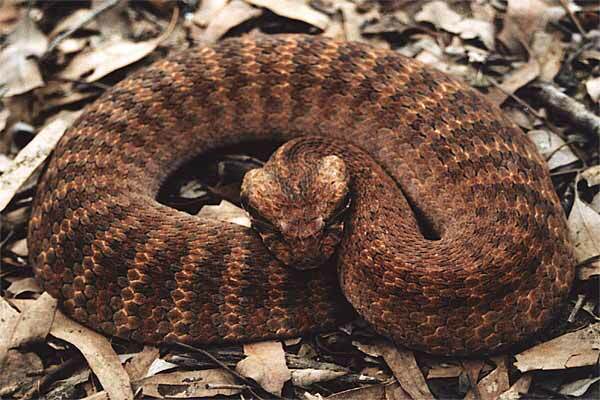 The common death adder are famous for camouflage but facing threat because of cane toad. King Brown Snake also known as Mulga snake is one of the longest venomous snakes in the world and second second longest in Australia. 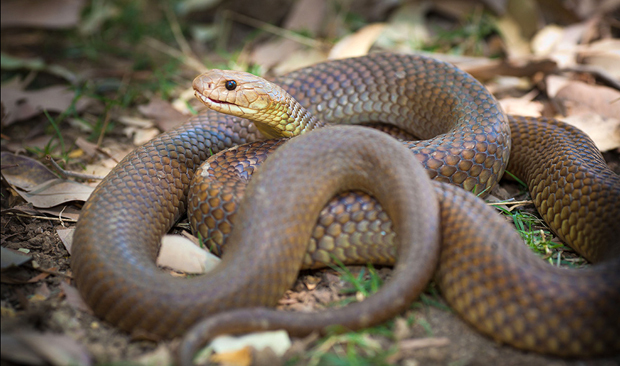 The king brown found in the most states of Australia and among longest venomous snakes in Asia. Lowland Copperhead is found in southeastern Australia and one of the most dangerous snake with neurotoxic venom. The lowland copperhead lives near water in swampy or marshy areas. 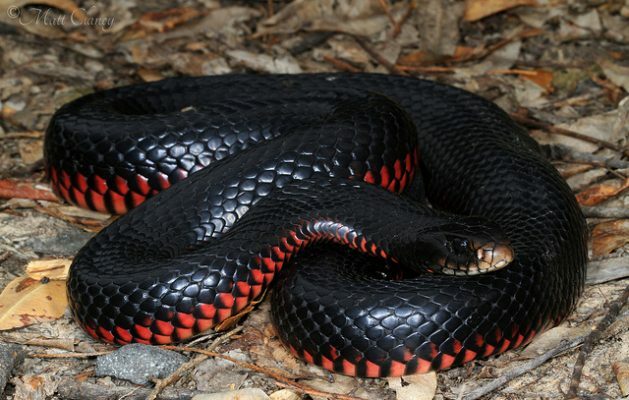 Red Bellied Black Snake is native to eastern Australia, mostly found in swampland,forest and woodlands. This elapid snake species is one of Australia’s best known snake and has striking colouration, upper body is black and its lower body is red.